Sony’s embattled Xperia Tablet S was one of our favourite slates of 2012, but it never received the recognition it deserved. Part of the onus should be on Sony, which failed to recognize a flaw in the product’s casing before production, increasing the possibility of water ingress on a device that was supposed to be resistant. 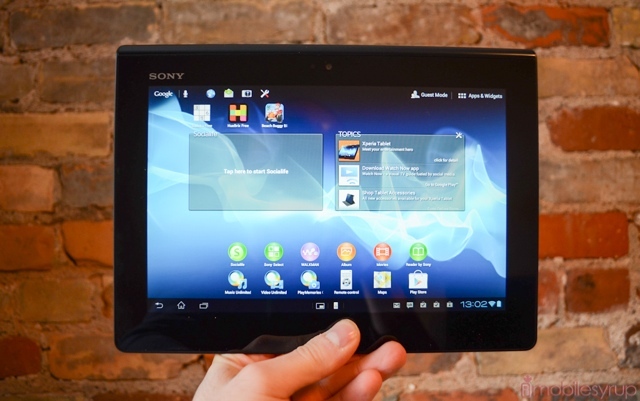 Unfortunately, when Sony resumed sales of the Xperia Tablet S late last year, it failed to detail when it would be updating it to Android 4.1 Jelly Bean; the slate is still running Android 4.0.3 Ice Cream Sandwich. But the Japanese giant did promise such an update, and it will come roughly around the same time as the tablet’s successor, the Xperia Tablet Z, hits the market in late April or early May. Despite the older software, the Xperia Tablet S is still quite usable; it introduced Guest Mode before Google did itself; its small apps were a precursor to Sony’s own phone version; its integrated apps are useful and well-designed; and it still runs very quickly on its Tegra 3 chip. At 9.4-inches it is also much easier to hold in one hand than many 10-inch+ slates on the market.